This may seem like an ordinary question to you. Because you are not 7 anymore to make an existential problem out of it. Like I did. Different countries celebrate Christmas in different ways. You can’t have imagined that Santa is such a fool as to travel to the Caribbean by sleigh?! Let’s find out how operation Christmas Gifts goes in different parts of the world! You will tell me that Saint Nicholas is not the same as Santa Claus. I wouldn’t be so sure about that. 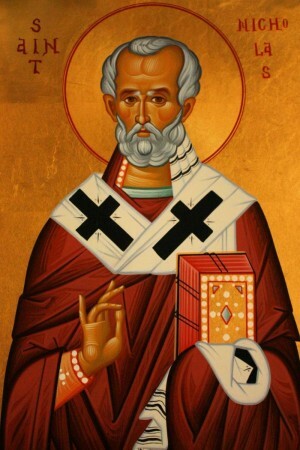 Saint Nicholas lived between March 15, 270 and December 6, 343. He was a Greek bishop in Myra (the small town of today’s Demre in Turkey). Over the years, he became one of the most revered Christian saints. There are many stories that tell us about the good deeds of Saint Nicholas, but it’s hard to make the distinction between the real character and the legend. The story that contributed the most in making Saint Nicholas the embodiment of anonymous generosity tells about a man who had three young daughters. He was too poor to give them dowries, which was a practice back then. Thus, his daughters couldn’t get married and they were afraid that, in order to earn a living, would be forced to prostitute, like other girls did. The bishop heard about their problem. And finding out what good girls they were, he decided to help them. Without anyone knowing about it. Back then, the fireplace didn’t have a chimney. The houses had only a hole in the roof for the smoke to come out. The night when the oldest of the sisters was turning the age of marriage, Saint Nicholas climbed quietly on the roof and, seeing through the hole above the fireplace some socks left to dry, he placed in one a pouch of gold coins. When they found the gift, the whole family felt such a great joy! And the oldest daughter got married. The episode repeated when the middle daughter turned the age of marriage. And so, she too found herself a husband to marry. When the time came for the younger daughter to get married, the father thought that the generous stranger would help them once again. He was dying to find out who that was. So, he lied upon the lurch and caught the bishop just when he was placing the pouch of money in the sock. Although he kindly asked to keep it secret, the father couldn’t help it. Since then, whenever someone got an anonymous gift, he or she would thank Saint Nicholas symbolically. In 1087, the remains of Saint Nicholas were brought to Bari by the crusaders. That’s how the stories about Saint Nicholas spread in Europe as well, but with different versions. The people liked the idea of these anonymous gifts so much – the generosity that expects nothing in return – that they turned it into a tradition. On the evening of December 5th, the eve of Saint Nicholas’ anniversary, socks or shoes are filled with surprise gifts. Given the fact that Bari had been under Spanish occupation for several centuries, in many parts the legend about Saint Nicholas says that he comes from Spain to bring gifts. For a very long time, Saint Nicholas was the only one who was bringing gifts. There was no such custom on Christmas day. In the Netherlands, Sinterklaas is still the main character who brings the gifts. In the other countries, he is only the one to start the season of generosity, with small gifts for good children. For those who are not that good, he brings small rods or just coals. 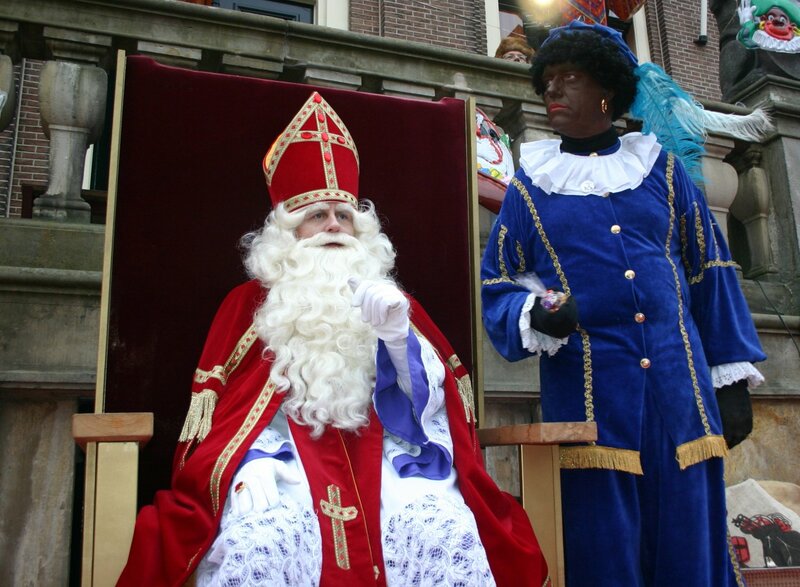 Sinterklaas is also a Moor valet, called Zwarte Piet. He entertains children during events and throws candies at them. Still, some social groups have declared themselves displeased by the fact that Zwarte Piet would suggest slavery and promote racism. Studies have shown that only 4% of the population makes this sort of association 1)”VN wil einde Sinterklaasfeest” – article published in De Telegraaf on 27st Octomber 2013,but it was enough for the character to disappear a while. In the German speaking part of Switzerland, Samichlaus is followed by Schmutzli – another man with black skin, but this is because he is very, very dirty. In the French speaking part, his bad counterpart is called Père Fouettard. Anyway, he is up to beat the naughty children. 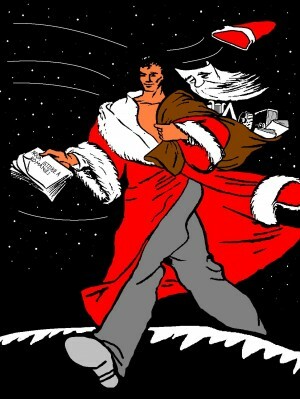 But ever since the psychologists said that this is not good, as he didn’t want to be given the sack, he began to bring tangerines and gingerbread to everybody 2)”Schmutzli: the Swiss Santa’s sinister sidekick by Morven McLean, article published in Swissinfo on 5th December 2008. In Germany, Sankt Nikolaus is accompanied by another servant, Knecht Ruprecht, a peasant who makes sure that children learn their prayers. Those who pass this test are given apples, nuts, and gingerbread. Those who failed to pass the test used to get a good beating, which, in our times, was replaced by rods, coals, or stones. Knecht Ruprecht accompanies Saint Nicholas in other countries as well, but he doesn’t get too involved. In Austria, Croatia, and Slovenia, the role of the villain is assigned to Krampus. He is horned, ugly, and angry. The Devil itself. He looks for naughty children and chubby women. Nowadays, the story is filled with dark humor – just like at Halloween. I found out that, in the XVIth century, he was a chubby man, always cheerful and dressed in green like a pine tree. Since in England the custom of Saint Nicholas bringing the gifts to children had been lost, this guy presented himself to the interview of the parents’ committee and got the job (only temporary), so he could do all this on Christmas. In the XVIIth century, the puritans declared themselves more and more outraged at what a merrymaker this guy had become. So, they straightened his path. They made a venerable old man out of him and called him Father Christmas (also known as Old Christmas). The dispute between the puritans and those who preferred the old variant grew so deep, that they even sat down to talk about whether it was a good idea to celebrate Christmas at all. But most of the people already loved this holiday too much, so they tread for a middle course. Nevertheless, since 1840, Father Christmas began to change. He quit drinking, found himself a nice, scarlet coat and grew more and more concerned about the children’s gifts (it was a job too good to lose). And so, he remained. Father Christmas lives in the North Pole. It’s quite normal to ride in a sleigh pulled by reindeers. But only to where it snows. To the South, he rides his donkey. The Cajun people of the American state Louisiana say he comes to them riding a canoe pulled by 8 crocodiles. Father Christmas is flexible. You mean Santa Claus is not Father Christmas?! Not really. He is a sort of a relative, but the two of them are so alike, that people mistake them for one another. We can even say that, in many parts of the world, Santa Claus stole the other one’s face. When the European colonists settled themselves in America, they brought along all kinds of customs from their homelands. These were blended into something new, in the way of being accepted by everybody. The English colonists had Father Christmas, the merrymaker guy, who brought along the cheerfulness at Christmas. The Dutchmen had Sinterklaas (Saint Nicholas), the bishop who came with gifts on the evening of December 5th. From these two “grandfathers” came out Santa Claus – a sort of Americanized Sinterklaas -, attested for the first time in 1773. 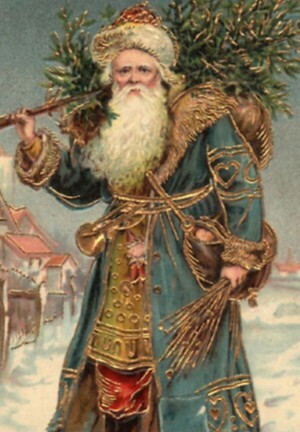 Initially, Santa Claus was a Dutch paunchy sailor, with a pipe and dressed with a green coat. After 1821, he became the good old guy you know, who comes in the night riding his sleigh pulled by reindeers to bring gifts. He must have inherited his paunch from Father Christmas, the red, bishop coat from Saint Nicholas, and the beard most likely from Odin, the almighty god in the Norse mythology. In 1823, Santa Claus was already doing the fairytale stuff you know he does: his flying sleigh comes down on a roof, and Santa goes in through a chimney – only he knows how – with a bag full of toys. Santa Claus is the one who brings the gifts at Christmas in the United States, Canada (the English speaking part), Australia, and New Zealand. But he gained ground in other countries as well, like Great Britain and South Africa. And even in Spanish speaking countries from Central America, like Mexico, where he is known as Santo Clós. Many Asian countries have mimicked Christmas, in a laic way, from the American model, Santa Claus included (the Japanese call him Santa Kuroosu and Santa-san, while the Koreans call him Santa Harabeoji). Santa Claus comes from Lapland. There he has a workshop, where his elves work all year round to make toys. To make friends with him, children, traditionally, treat him with delicious cookies and a glass of milk. No wonder he got so fat from all those treats! For many years, Santa Claus had been leaving his gifts in socks (I mean, for the good children, because the naughty ones got coal). But since the Lego box or the video game console could not fit in the sock anymore, he decided to leave them under the Christmas tree. Santa’s sleigh is pulled by 8 reindeers: Dasher, Dancer, Prancer, Vixen, Comet, Cupid, Dunder, and Blixen. And then there is Rudolph, the most famous of them all, with his red nose, as bright as a flashlight. He is the one that gets Santa Claus out of trouble. Everybody saw them as male reindeers, but the biologists claimed them to be females, as it couldn’t be otherwise. And that’s because at the beginning of December, the male’s antlers fall off 3)”Are Santa’s Reindeer Males?” – article published by Live Science on 20th September 2012. Therefore, the females are to do all the hard work! When Santa Claus arrives in Australia, where it’s summer at Christmas time, he puts aside his sleigh and hops in a carriage pulled by kangaroos. Sometimes he gets there by water, by means of a boat, like Sinterklaas. He pulls it through somehow, don’t worry! If you want to impose Communism in a country, you can bring down its churches, you can ban the crosses – even in the cemeteries, like it happened in Albania 4)”The Resurrection of the Church in Albania: Voices of Orthodox Christians” by Jim Forest, book published in World Council of Churches in 2002. You can throw the priests in jails. You can do anything, but you cannot abolish Santa Claus. In Czechoslovakia and Poland, this cosmetic surgery did not succeed. The people stared at Grandpa Frost like an alien who had invaded them, but went about with their own traditions. In general, Grandpa Frost came after Christmas, during the days before the New Year, to avoid any religious connotations. After the fall of the Communist regime, Santa Claus took the place of Grandpa Frost in almost every country where he was forcefully imposed. But the Muslim countries still prefer the latter, especially because he is not in any way associated to the Christian religion. 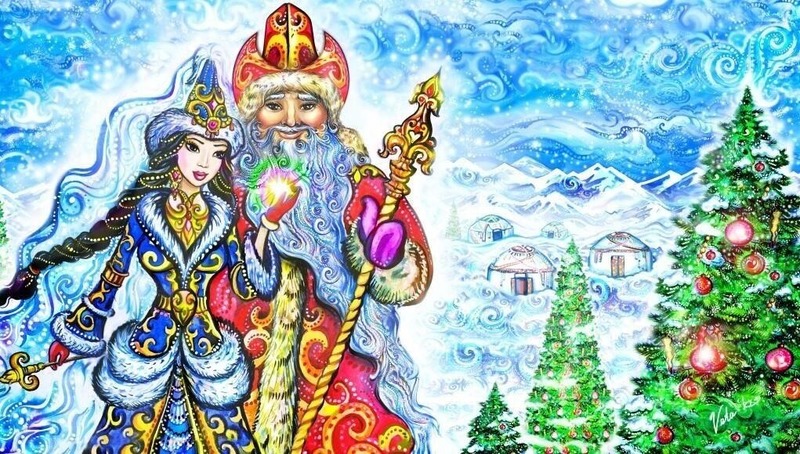 In some Turkic countries, Santa Claus was replaced by the Grandfather Frost. He is similar to Grandpa Frost, but he has some characteristics of his own. Firstly, the Grandfather Frost is not just a generous old man, but the god of winter. And like any other respectable god, there are all sorts of legends about him. The tradition of the Christmas tree, as it is known in the present day, originates from the Germanic people. We don’t know exactly where it came from, but there are not clear attestation more recent than two centuries ago 5)”Tracing tree tradition: Author examines history of adorned greenery as a Christmas symbol” by Jim Higgins, article published in Milwaukee Journal Sentinel on 9th December 2012. It’s interesting to know that the Turkic people have the custom of cutting down and adorning the trees even before the birth of Jesus Christ – and it would not be excluded to have served as an inspiration. What’s for sure is that a long time ago the Germanic people cultivated the pagan tradition of hanging fruits in pine trees, in honor of Odin. The strange thing is that, although nowadays the adorning tree reminds you immediately of Christmas, many important representatives of Judaism and Christian religion had protested centuries ago against these traditions, on the grounds of them being some form of idolatry. Anyway, the Christmas tree is not a religious symbol, but a laic tradition. Furthermore, things only mean what you want them to. If they mean a reason to bring the whole family together on a holiday, that’s just wonderful! That’s why their Christmas gifts are brought by a dwarf. The Norwegians and the Dutchmen call him Julenissen, while the Swedes call him Jultomten. The Dutch have their own Santa Claus, called Julemanden. He looks like Santa Claus, but he originates from the local mythology. Julemanden made his appearance after the Second World War. 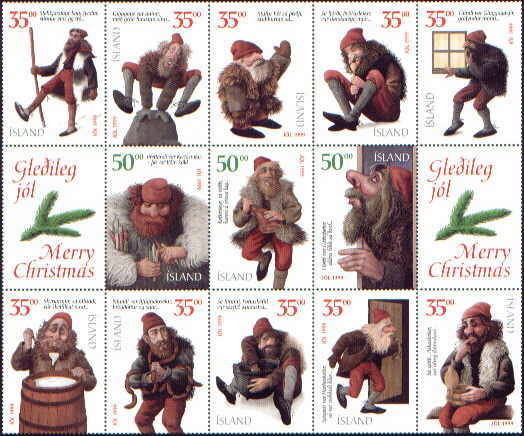 His job was previously done by Julenissen – the dwarf who brought the gifts in Scandinavia. Julemanden dwells in Greenland. His little helpers are called nisser – some dwarfs who don’t exceed 1 m in height (the same as Julenissen). Julemanden is crazy about rice pudding, especially if it has a pinch of cinnamon and some butter on top. Traditionally, he is kind of stumpy and wears a grey and red hat. 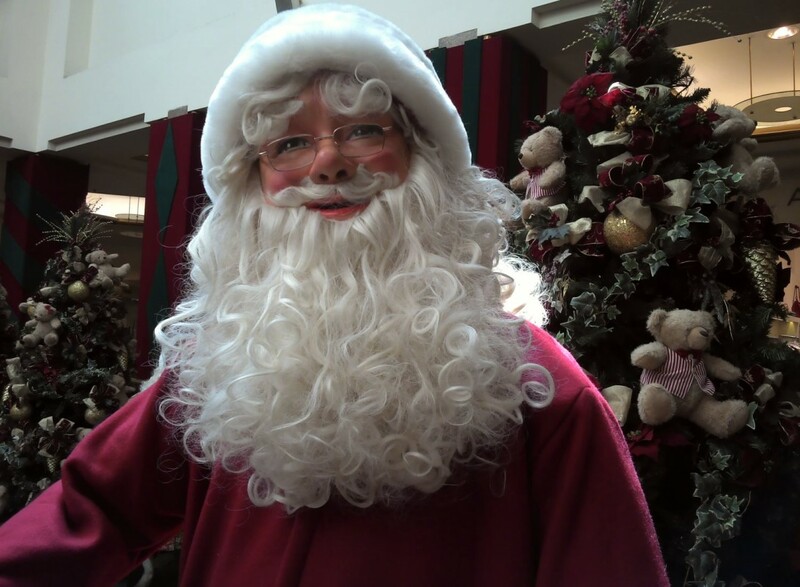 But, more recently, he’s taking after Santa Claus in terms of fashion! In the Northern Europe (especially in Scandinavia), but in many other parts as well, there are some Christmas traditions that are related to a billy goat (or to a nanny goat). These folkloric traditions have pre-Christian origins. In the Scandinavian mythology, two goats are pulling Thor’s chariot across the sky (in case you were wondering where Santa Claus got his idea from). Initially, these kind of goats were seen as fierce. When Saint Nicolas’ celebration became a tradition in these parts as well, he was riding a goat, a symbol of subduing the evil. Later, it emerged the custom of wandering with the “goat”, who was actually a young man wearing a mask. Thus, the Yule Goat became a character – half goat, half human. Over the years, he grew more and more loved and appreciated. But this until the XIXth century, when he became the one who brought the Christmas gifts in Scandinavia! Lately, the traditions related to the Yule Goat have faded away. The last “stand” is Finland, where Joulupukki – as they call the Yule Goat – still brings the gifts. His horns have fallen off and he’s strangely similar to Santa Claus. 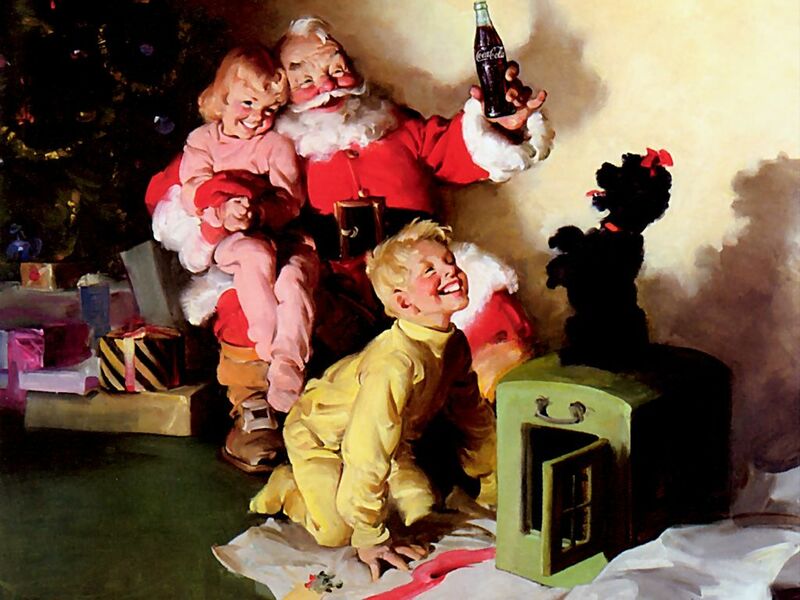 Interesting to know is that the famous illustrations with Santa Claus that used to be shown during the American Coca-Cola commercials in the ’30 were created by a Finn artist: Haddon Sundblom. And that’s how the circle of inspiration closes. I don’t know if you remember, but on Christmas day we celebrate the birth of Jesus Christ. According to the Gospel of Matthew, not long after He was born, three magi came to bring gifts to the newborn. It is estimated that the magi came on the 12th day after His birth, a day celebrated as the Epiphany, on the 6th January. In Spain and some other Spanish speaking countries, this is the main day of receiving gifts. From the three magi, of course. Actually, the gifts are – symbolically – for baby Jesus. For the Christ within you, if you are a Christian. We got the idea of Baby Jesus receiving gifts. Only that Jesus didn’t come in this world for Himself, but for those who believe in Him. In a symbolic way, He came for sharing with us His gifts. At the beginning of Protestant Reformation, in the XVIth century, Martin Luther was against worshipping saints, among other things. Particularly against one so popular as Saint Nicholas. 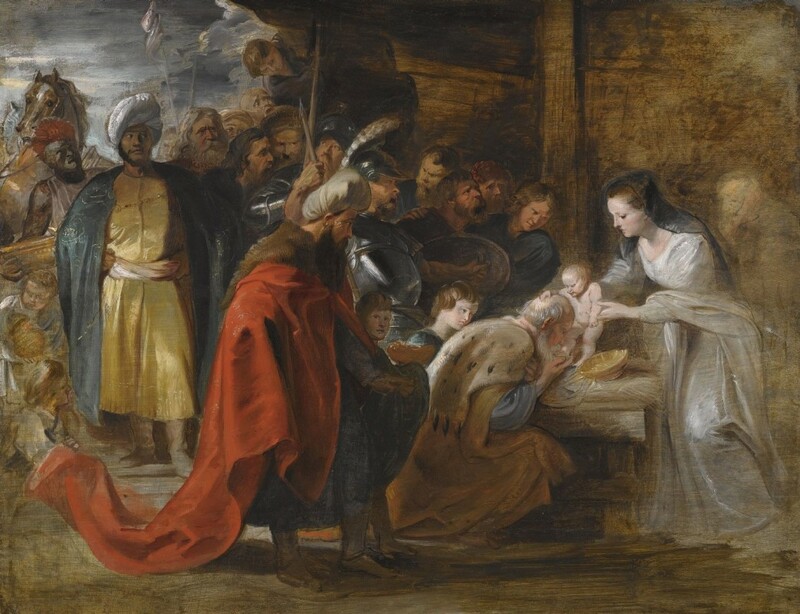 But since the celebration was so loved by the people, he came up with an alternative: the gifts should be brought by a representation of Baby Jesus. 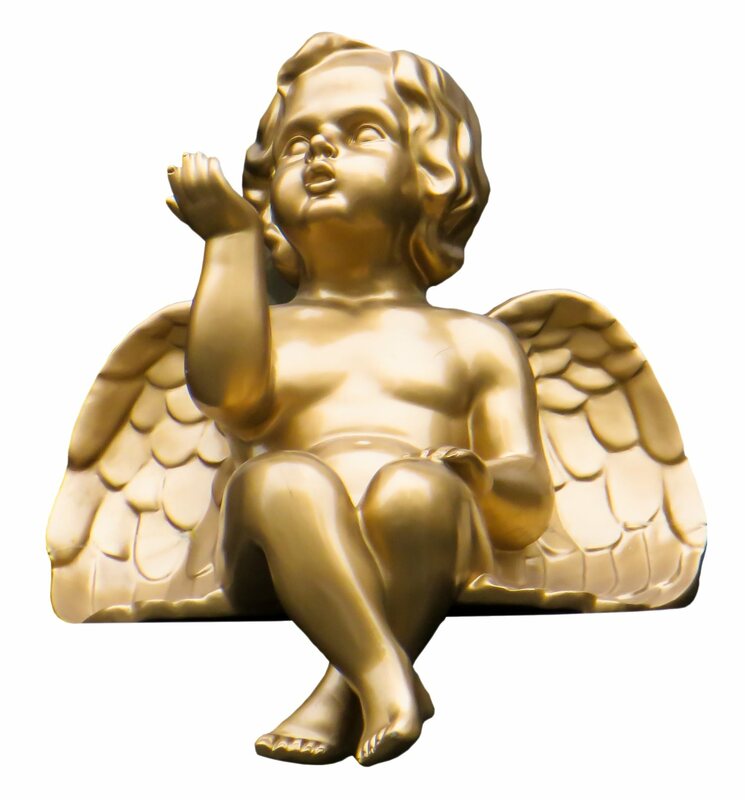 In order to be on the German children’s liking, a little angel with golden locks was imagined, which got the name of Christkind. Christkind made his way to the United States as well, under the name of Kris Kringle. But that’s the only thing that is left of him, which is now synonymous to that of Santa Claus. It is strange that this Kris Kringle came to be very much appreciated by the Catholics, while the Protestants are visited by Santa Claus. Although he should have represented Jesus, Christkind developed a personality of his own. Sometimes, he even makes his appearance next to Baby Jesus. What would be better than to be visited by Santa Claus?! What do you say about being visited by thirteen young men? That’s what happens in Iceland, where they are called Jólasveinar. On every day between the 12th and the 24th of December, one of them comes to town. And on every day between the 25th of December and the 6th of January, one of them leaves town. Initially, they were bestowed with great personalities – from practical jokers to monsters. Meanwhile, they have become quite a bunch of thieves. They slam the doors, show up by the windows, steal sausages or sweets. It is said that they usually visit the naughty children. Better than at Halloween, isn’t it? Lately, under the influence of Santa Claus, they grew more friendly in nature. Sometimes, they dress in red and bring gifts. All of them. In the Spanish provincies of Aragon and Catalonia, there is a very special and fine tradition. 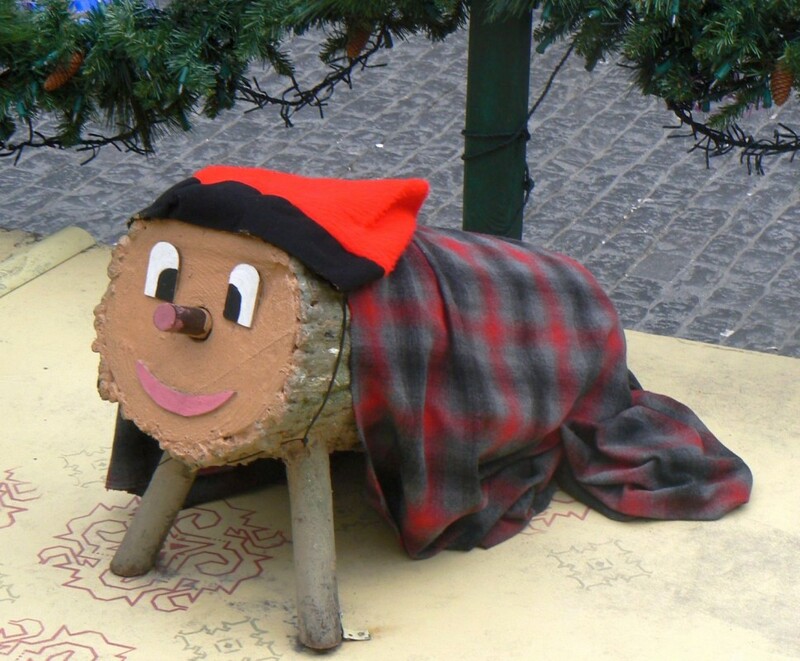 The people take a log of about 30 cm in length and give it the name of Tió de Nadal. Preferably, it has to have branches from which they can make its feet. They paint it a funny face and dress it up. Starting with the 8th of December, the children make sure they bring it food in the evening and cover it up, so it isn’t cold during the night and fall… dead asleep. If they take good care of it and tell it a beautiful prayer on Christmas Day, the children are rewarded with small gifts by Tió de Nadal. The truth is that Santa Claus is gaining more and more ground. He either takes out his competitors or assimilates them. To be honest, Santa tells a story which best suits the times we live in. And he has quite an impressive cultural-media support. But still the diversity is appealing in its own way. So enjoy all the range of Christmas traditions – especially the local ones! Some useful advice for those looking for a gift that would be appreciated, with real examples and arguments backed by psychological studies.